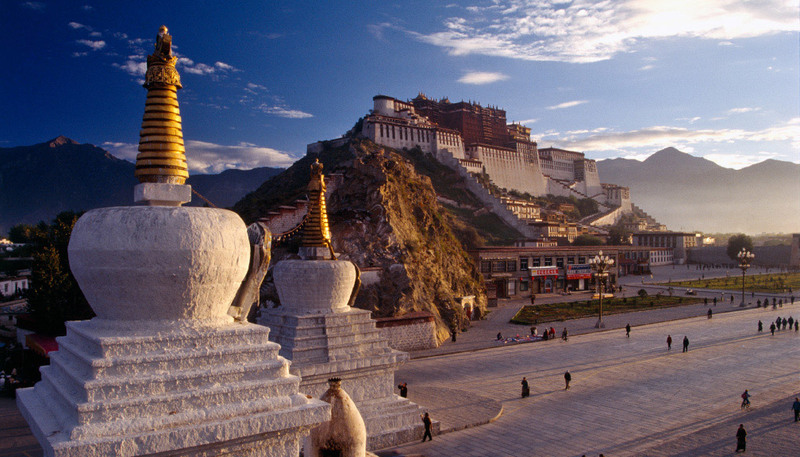 “Perched at 130 metres above the Lhasa Valley, upon Marpo Hill is Potala Palace. A forbidding climb and a formidable view was the start of my exploration of a palace that was once a hive of Tibetan feudal power and Buddhist scholarship, and that is now slowly becoming more of a museum and library. Initially, the palace was quite bare with nothing but faded yellow walls on either side with typical Tibetan architecture. But I only grew more fascinated as I kept walking in. I could see mural art everywhere. Every room is vivid and decorated brilliantly with these masterpieces. But the 698 murals painted along the second-floor corridor, depicting legends and customs of ancient Tibet, caught my attention the most. I tried to memorize them as photography in the palace is banned – I realized it was like the Louvre of Tibet. You want to soak it all in, but you walk away with a few burned in your brain. The palace is made of two main parts – the Red Palace and the White Palace. The White Palace is home to the current and successive Dalai Lamas. Standing on its spacious balcony, you can look down on the sea of Chinese development that is now Lhasa. The Red Palace lies to the west of the White Palace and is particularly revered as it houses the Stupas holding the remains of the Dalai Lamas. 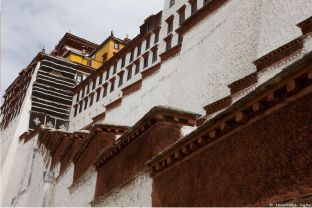 The roof of the palace has the private quarters of the 13th and 14th Dalai Lamas. The first room is the throne room where the Dalai Lamas receive official guests. The large picture on the left of the throne is of the 13th Dalai Lama. The next is the reception hall, which has a hidden balcony – this was primarily used for the Dalai Lama to watch festival dances performed in the courtyard below. I went to the meditation room after that; a room which still displays the ritual implements of the present Dalai Lama on a small table. The final room is the bedroom of the Dalai Lama. The mural above his bed is of Tsongkhapa, the founder of the Gelugpa order of which the Dalai Lama is the head. I found many other things to surprise and delight me, and evoke in me a sense of rediscovering what the past has held sacred for many years - a room with an exquisite collection of miniature copper and gold figures, tapestries used for art and insulation, white shaded windows that act like a thin veil separating the building and the blissful outside of the palace. As I walked out, I turned to look at it one more time. And I could not picture any other structure fitting the staggering Himalayan backdrop so perfectly. With most historic places, it takes some effort to imagine the past. 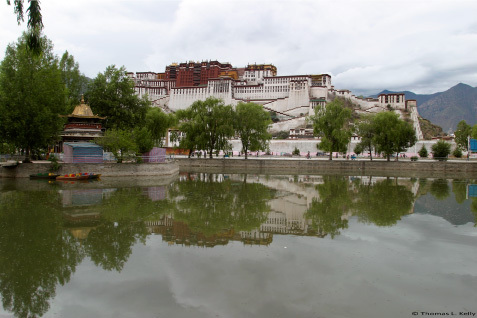 But everything about Potala Palace is an effortless reminder."